Elephant is one kind of the lovely and rare animal in the world. For those people who like elephant, that will leave them unforgettable memory if they can get close contact with elephants during their traveling. 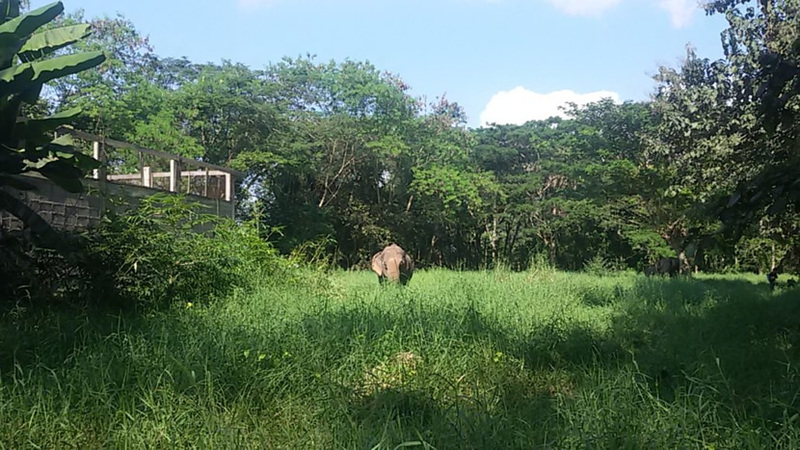 In Thailand, you will have many choices to see elephants, but it will be much more amazing if seeing wild elephants in an Elephant Tour in Thailand. 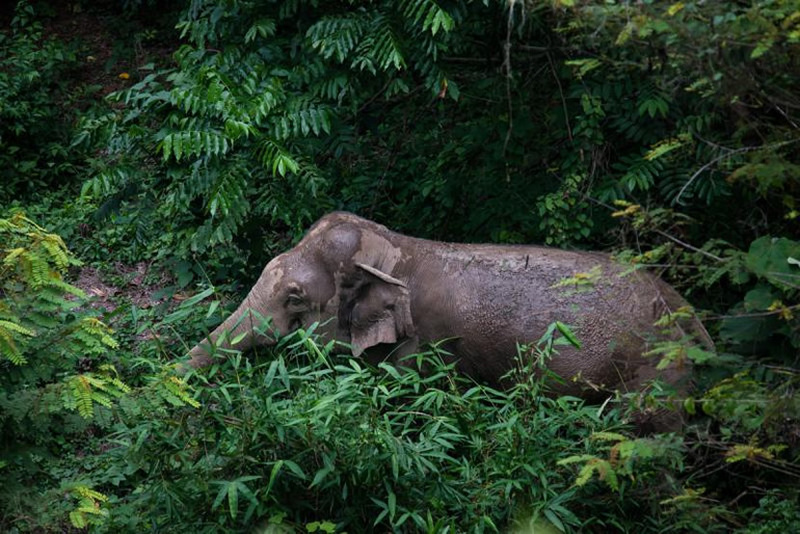 Now, just check out the top 10 places seeing wild elephants in Thailand. Surin is located in the eastern of Thailand, and it is a famous hometown of elephants. There is the Surin Project. Here you can get in deep touch with elephants, feed them and play games with them. 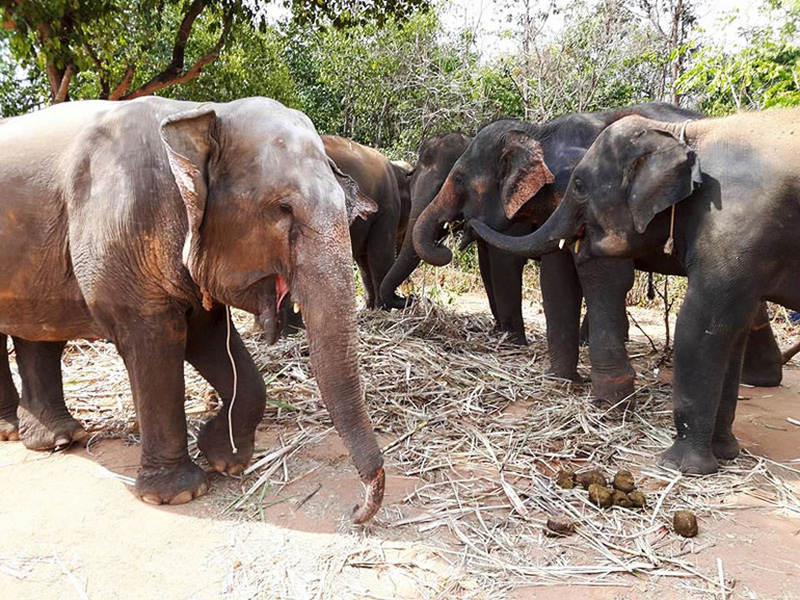 After mahouts join the project, they have fixed salary to maintain their live, so they do not need to train elephants to participate in various activities which will make damage of elephants' health. Kui Buri National Park was established in 1999. It is situated in the Tenasserim Hills in Prachuap Khiri Khan Province. 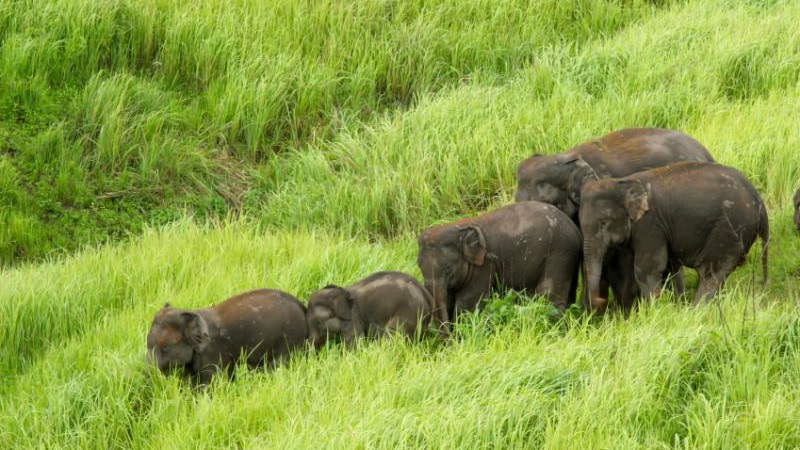 Now, it is estimated that about 100 individuals and around 320 elephants grow in Kui Buri National Park. There are also many kinds of wild mammals, such as gaurs, golden jackals, leopards, deers, bantengs, and langurs. Khao Yai National Park is the second largest national park in Thailand, more than 200 kilometers from Bangkok. The National Park was built in 1962 and covers an area of 2168 square kilometer. The park has 67 species of mammals, including tigers, jackals, gibbons, cynomolgus macaques, Asian elephant, sambar and muntjac etc. Khao Sok National Park may be the most famous national park in southern Thailand. And it is located in the mainland between Phuket, Krabi, Khao Lak and Koh Samui. It is declared to be a national park in 22nd December, 1980. 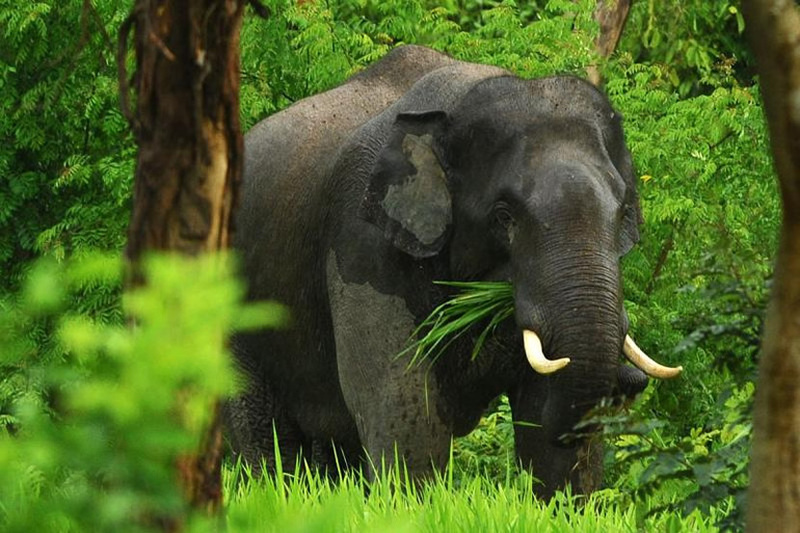 You will enjoy elephant experience and elephant trekking here. This wildlife sanctuary is located near the Thai and Burma border in western of Thailand, and it covers an area of 320000 hectares. It is the largest nature reserve in Thailand. It was built in April 24, 1974. And it was included in the world cultural heritage by UNESCO in 1991. Kaeng Krachan National Park is an important wildlife sanctuary in Thailand, with more than 400 species of birds and 57 species of mammals, which included India buffalo, elephant, sambar, malay tapir, leaf monkey and gibbons etc. It is closer to the important tourist city, Huaxin. The aim of Wildlife Friends Foundation Thailand (WFFT) is to rescue, rehabilitate and care for wildlife. And the elephant is its important rescued object. 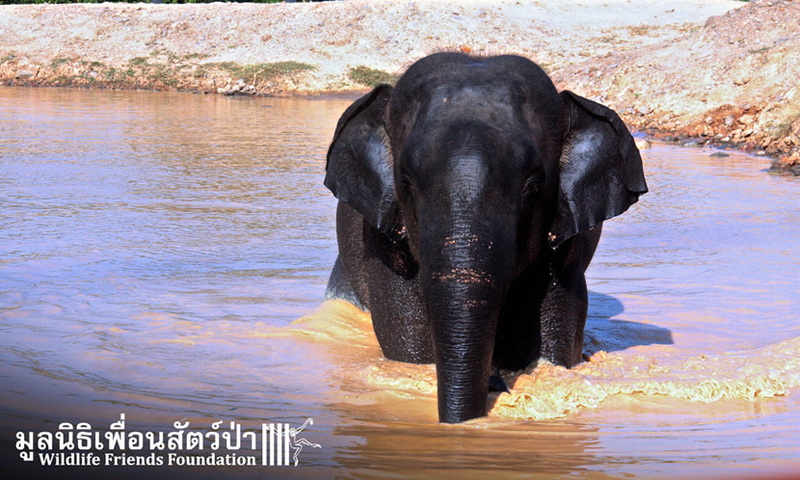 Wildlife Friends Foundation Thailand can provide an ecological and careless living residence for the piteous elephant. Elephant Valley Thailand was setting up by Manager Jack, an English gentleman. Unlike most elephant parks in Thailand, we follow the guide's footsteps in the forest to observe the elephants at a distance. 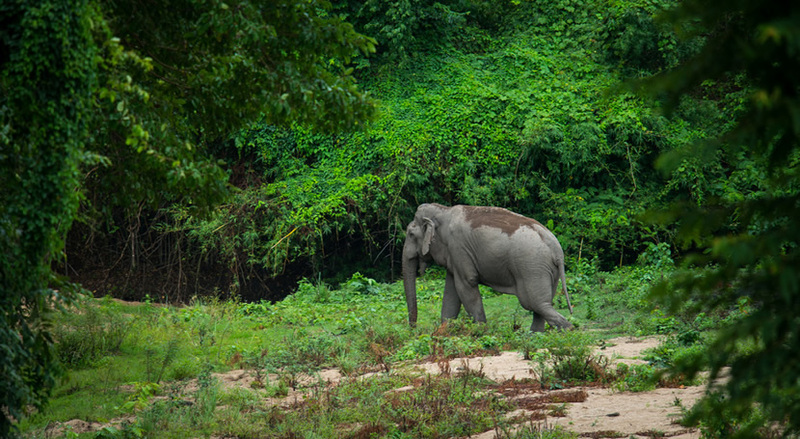 The guide will introduce to us the characteristics and names of each elephant in English. 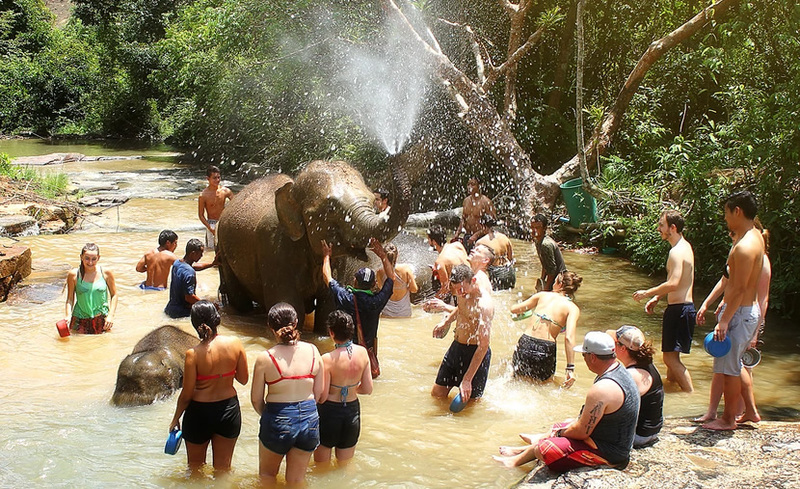 Elephant Jungle Sanctuary is far away 60km from the city of Chiang Mai, which is located in the Northern Thailand. And this sanctuary is founded in July 2014. It is not allowed people ride elephants, because riding elephants for a long time will bad for elephants' health. The sanctuary is situated on the island of Phuket in Southern Thailand. The staffs of Phuket Elephant Sanctuary are trying their best to rescue and take care of elephants. They treat elephants as their friends and family members.